Legendary Hip-Hop producer Andre “Dr. 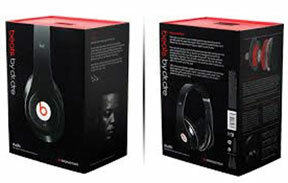 Dre” Young’s Beats By Dre headphones have financially taken Dr. Dre into a space where producing music has not been able to. Dr. Dre has turned spending $300 on headphones from something that only a handful of artists, music producers, and studio engineers would even consider into one of the fastest growing categories in the consumer electronics industry. Christian Massey, 21, had just bought a pair of Beats By Dre headphones on Black Friday and was enjoying the sounds while walking down Lebanon Avenue Saturday (Nov. 30) afternoon when an armed man demanded his headphones. According to witnesses, Massey did not comply and tried to run when the armed robber fired five rounds, striking and killing Massey. The headphones were found next to his lifeless body. Despite there being witnesses to the broad daylight robbery-turned-murder, police are said to have no leads or suspects. Last year, the New York Post revealed that Beats By Dre were becoming a favorite item amongst thieves because they are seen as a “status symbol”. Stories like this are becoming all too common. Whether it is a pair of Jordan’s or Lebron’s, Beats By Dre’s, leather coats, gold chains, or like back in the day, Starter jackets, material items that transcend into “status symbols” are at the epicenter of robbings and murders. Without placing blame on the manufacturer or the consumer, we have to get in check for ourselves what is truly valuable and what is even worth the trouble.